Work for Google Kubernetes Engine (GKE)? "Automated orchestration, deployment and scaling of containers"
Google has made the setup super easy in the Google Cloud. The user interface is very intuitive. You can manage your cluster directly through the web interface. You can scale up with a few click or set up automated scaling based on traffic and various parameters. Failover replicas make your uptime close to 100%. Load balancing is built in. Setting up a cluster is quite easy and the combination of google container registry and kubernetes works like a charm. Setting up a manual kubernetes cluster is a bit time consuming. The infrastructure needed to set this is a little costly. Need more plugins for visualizations and recipes for various open source products. Get a free trial in google cloud and have a hands on with Kubenetes Engine with the free credits. Get familiar with containers, load balancer and workflows before you move on to pay for it. The devops team is the main beneficiary. You can deploy production grade clusters with ease. You can promise uptime and scale once you are able to fully orchestrate. Autoscaling helps reduce your costs maintaining high uptime and low latency. "Good for scalable applications "
Kubernetes is the center of the training session we offered internally. After setting up jupyterhub, the pod management is so easy. Every use will login and one new pod will get created for their own use. Largely saved our time to manage the services. The persistent storage set up is kind of painful. We have to create a persistent disk, and detatch that from the vm to be able to use it in GKE. This happens everytime when we update the files. At one time the disk's read write policy changed, and no gke can read it for some reason we never get to figure out. "Solid kubernetes experience but encourage better security than defaults"
Latest updates, great managed service and a clean API. Connecting to the cluster via the UI is a great experience. Page layouts are generally well designed. We do penetration testing and the attack vector is typically to compromise a pod and then attack the Kubernetes infrastructure. With the default settings, this is fairly easy. The details are described on 4armed.com hacking kubectl on GCP. The ideal scenario via the UI would be in the UI to check the security level desired. If it is low, current defaults are fine. Medium, conceal the metadata serivice and add all extra audit logging. Suggest PodSecurityPolicy and Network Policy. High = enforce all best practices and require explicit exceptions to over-ride any insecure settings. Praetorian would also like to know what the roadmap is to truly fix the system:node whitelist for the certificate request signing controller. Also, it is a bit hard to find the service_account for the pods/nodes. Please make this easier. Do not accept the defaults for production workloads. Make special efforts to create a solid Network Policy and minimal pod service accounts. Praetorian loves what GKE does for container orchestration. Our initial application used Google App Engine Flex exclusively. Now as we demand more flexibility and control we will incorporate GKE. The new "Cloud Run" feature looks great. "high-performing, flexible infrastructure that unlocks maximum efficiency"
A definite advantage of Kubernetes is its vast and rapid appropriation by many devops. It means that you can find lots of best practice examples posted by a huge community of users who regularly contribute to Kube knowledge. Kubernetes works with Kube-specific commands and tools, so naturally, you’ve got to spend some time to sort it out, but it’s worth it. If you are ready to fiddle with configuration a bit and enjoy fully customizable functionality, I’d go with Kubernetes. Fault tolerance - It does a lot of things under the hood to handle failure. Managing configurations - It is super easy to manage all the configurations, test them, edit them and this makes it very suitable for integrating services. Service discovery - Automated internal DNS and service discovery make shipping service discoveries very very easy. Single point of trust - All state is defiened using a distributed key value database. This state is represented using JSON format. This state is fully exposed using an API and server and can only be changed using this service. Time taken for error detection - It takes more time to deploy automated fixes to bugs. Illegible logging - A lot of logs are not understandable, difficult to decipher and filled with way too much unuseful information. It's not easy to learn. Intensive training is required to be of a working capability. It takes months of learning and support from Google to understand how Kubernetes works. It is very suitable if you're managing microservices, need service discovery and autoscale and config management then kubernetes is the tool for you. A service can be published, and all your infrastructure can be made to react to this change, load balancers, DNS servers, monitoring, create database, everything can just be monitoring the state in the API server and reconfigure themselves automatically when needed, no more need of coordinating the distribution of more configuration. This is very powerful. Managing microservices, service discovery, auto-scale and config management. "Reduce the hassle of managing your service instances in production"
Very easy to create, deploy and run you service in any environment (production/testing). Start playing with it and you'll see its value. Also, try to have versions in mind from day one. First time K8s cluster creation can be a bit hard, but after that it's all smooth. Deploy multiple instances of your service in testing/production became very easy. Supporting multiple versions in parallel became very easy as well. Basic configuration is easy and clear. Changes the lifecycle from dev to prod - making the process of continues deployment a lot more reachable. Testing also becomes easy because all you need to do is deploy your version with a few command lines and you can test it on your machine or on some shared environment (even in parallel to other versions). "Makes managing Kubernetes clusters easy"
If you want to run your own Kubernetes system from scratch, it's a lot of extra work and maintenance. I like that Google handles all of that for you. In combination with the Google Container Registry, deploying a production, stage, or even a temporary development cluster is super easy. I would like to have more visualizations for a cluster. I know there are Kubernetes plugins to visualize the cluster but it would be great if GCP could build this into the dashboard. I would also like to see more production ready recipes for deploying common services, like Redis, MongoDB, and so on. These things are common enough that they could be available as one-click setups. Kubernetes originated out of Google so they have one of the best solutions for Kubernetes Infrastructure as a Service. You can always try it using the GCP free trial before you buy it. Kubernetes Engine solves our needs for container deployment and orchestration. In about a week, we were able to learn, configure, and deploy our system to Kubernetes Engine. "GKE is definitely the most mature kubernetes product among cloud providers"
It has a great UI and intuitive integration with the kubernetes dashboard. Furthermore, adding users to clusters is definitely a lot easier than the AWS solution. Their support is less than helpful - AWS and Azure both have much better support. It has gotten better, but Google's support is definitely the worst. Definitely read on k8s documentation before using it - it will assume a level of understanding of kubernetes. Easy to use, and happy for the on-prem offering that it was just anouched in Google Cloud 18. help teams focus on their core product without worrying about where to run it. meaning that infrastructure ha always been a pain for a small company. with this product, we do not have to care. For those that want to host on-prem GKE, it will be create if there is an offering that includes Google's Hardware, so we as end users would not have to deal with other provider, and not reaching HA standards Google's product offers. increases productivity and help teams focus on their core product without worrying about where to run it. "Kubernetes Engine in For Cloud Offering"
We choose Kubernetes for Google and Open Source Comm Support, availability of third-party integration tools, scaling and ease of use. We are happy with the choice and happy customers. The product is easy to use and very less time required for training engineering. We love Kubernetes but our private cloud deployments are growing both in number and in size. We doubt in future we may have switch Mesos for very high scale clusters as Kubeneter may not be able to scale that much. The best thing about GKE is how it takes care of recovering all of the little issues that can happen in your cluster, whether they're in the control plane or even at the node level. I would like to be able to spin up GKE clusters with multiple node pools more quickly to help with on demand test environments. We run our platform on top of kubernetes in multiple clouds, so GKE allows us to largely ignore operational concerns in GCP and focus on where we have real problems. "GKE Makes Kubernetes Adoption Automatic"
GKE is really managed entirely by Google. This reduces the toil overhead for system administrators as well as allowing developers to remain focused on delivering app features. The cost of GKE is higher than the cost of running Kubernetes on some other platforms. It would be great if Google offered a lower entry level tier for individuals or small startups to help adopt what really is the easiest to use, hosted, Kubernetes platform. Developing on GKE, and Kubernetes in general, has increased the speed of product iteration by several orders of magnitude. This has allowed us to more rapidly break apart our monolithic application in to more manageable services more quickly than if we had to use traditional development environments. "Easily the best experience getting Kubernetes up and running." GKE is a great first-class interface over Kubernetes management, from the gcloud CLI to the Console UI. Deployment is such a snap. I'd like an easier time retrieving detailed Kubernetes metrics from built-in functionality. I believe there's a StackDriver custom metrics server, but it would be great if that wasn't required. We build a product that integrates with Kubernetes. The benefits for us come in the form of ease-of-integration. Again, it has been a pleasure working with GKE in this regard. Just spin up the app without worrying about how to scale it, level of details that can be seen within the pods and containers. 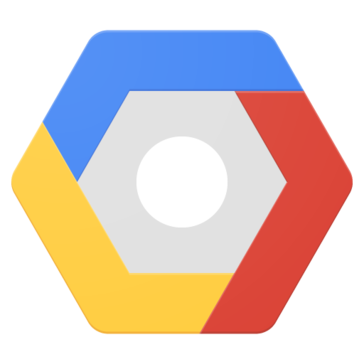 Container orchestration is the most amazing feature of GKE and its inbuilt with Google cloud. Sometimes Google cloud outages causes massive pod failures and containers restarts that fails multiple downstream services dependent on those failed pods. Looking forward for better availability of Google cloud. Etcd datastore is very conservative. Services that takes heavy load during peak hours and we don't have to worry about maintaining the infrastructure/machines on which those services run. We can focus on main business logic now without worrying about static host configuration like on-prem. "GKE is a great product"
GKE is very easy to get started for day 1 usage. It is very easy to create a cluster and start operating against it, even with limited k8s knowledge. Upgrading node pools is a very slow process, especially for large-ish node pools. If you are looking for a managed Kubernetes offering, this is the best in class. We use GKE as a new platform for deployment/operation of microservices, rather than managing infrastructure and config with traditional config management services. It has allowed us to very easily have new services with CI/CD, without our Ops team having to stand up specific infrastructure and configure it to support multiple services with different dependencies. I like the split of resources, customization and flexible management. I think this whole line of technology is new and needs more easier to understand and shorter resource for study that at least send home one point at a time. Scaling and Deployments. Scaling with kubernetes has been really easy and manageable and also we have been able to more easily deploy. Reducing time to production and manpower. "Google Kubrnetes Engine shortens our time-to-market"
GKE builds on the benefits, foundation of containerized apps and services. I particulary value the default network and cluster created for my deployments by default. I am excited to be learning how to scale and tune these clusters while at Google Next 2018. I wish that GKE would be available as open-source so that I could implement wherever necessary. I intend to practice a cloud-first development strategy for my microservices and GKE makes that a natural. Ever tried to stand up k8s yourself or followed Kelsey's k8s the hard way? It is no walk in the park. GKE turns all that complex installation and configuration into a task you can perform in minutes. Because it is so simple, you can focus on other components such as extending Kubernetes or even adding in integrations to your favorite components. Can't really think of much here. Maybe make the documentation around best practices and patterns more prominent in the documentation for GKE as a whole. It is a really big space with a lot of content and architectural concerns. Speeding up the development and operations of our products for our developers. "GKE simplifies everything about kubernetes"
I like how GKE simplifies kubernetes and makes it friendly and usable for developers who have some understanding of kubernetes. I don't like that it feels difficult to drill down and customize some parts of kubernetes. Have an understanding of kubernets before using GKE. Running a kubernetes cluster in GCP. We were able to get it up and running very quickly. Good cluster manager and orchestration system for running your Docker containers. In addition to standard Kubernetes features with GKE provides Google Cloud load balancer support for containers, a private container registry, a centralized logging solution with Google Cloud Logging, Identity and Access Management, and many other public cloud features. The user interface is very intuitive. It makes the process of continues deployment a lot more reachable. Kubernetes is awesome, you can run all of your container jobs in clusters and it makes it super simple for development. "Relatively painless migration to Managed Orchestration"
We were able to use orchestrated containers with our other GCP instances without a lot of hassle. Seamless backend network integration made it easy and secure. We had some issues with getting our ingress strategy figured out and a few reliability issues with HA proxy based ingress, but switching to NGINX based dealt with most of that. It has helped us automate deployment and upgrade of our product, letting us spin up development and test environments much more easily and not worry about tearing them down when they are no longer needed. "Let the deployments be seamless"
2. GKE enables management of micro-services. 4. Using containers just make deployments painless. What you see on your local development machine is what you get on the production. "GKE makes deploying and managing applications easy"
GKE makes deploying and managing applications easy. We use a Terraform provider & GitOps config managements to upgrade our deployments in a matter of minutes. Rolling updates ensure our newest product can seamlessly be rolled out to our customer base without downtime. GKE does not span GCP regions. Multi-zone masters within a single region are the equivalent of HA, but don't really solve the geo-redundancy needs in order to support 99.999% uptime for regional network failures; instead we had to rollout a custom solution. A few years behind competitors. Interacting with GKE using Google Cloud Shell is really cool. Deploying containers into the registry and from there on any containerized platform is simple. We are motivated to keep highly confidential data on-prem instead on the cloud. With the ability to get the excess capacity and less sensitive data to GCP. GKE provides a simple and easy-to-use interface for running our suite of microservices in GCP. Our team has had some inconsistency with the automatic node pool upgrading, although that may be due to incorrect configuation on our side. We chose GKE for flexibility of workloads, cost-efficiency, and scalability. GKE has provided all of the above, and our client couldn't be happier! "Great tool for Infra Modernization and CI/CD pipeline"
I love all google products and Kubernetes is no exception! So easy to use and navigate! I would recommend this to anyone in IT! I use it for orchestrating code and my project schedules. "steep learning curve with big rewads"
"The best platform for development teams"
The resiliance of this platform is amazing. We didn't have to go through all the hassle to set up this platform to get this resiliance either. It has saved us huge ammounts of time. We have on prem issues with keeping services/servers up and running. This platform not only gives us near 24/7 uptime. This has saved us so much issue and cost with support and getting our apps back up during critical downtime. "Great tool with a bit of a steep learning curve"
It takes a lot of the setup and monitoring out of our hands, and provides a quick to startup sandbox to try out k8's. There seems to be a lack of clear documentation for a lot of networking problems, like how to properly set up inter-cluster communications. I find the documentation assumes you either have zero experience, or 5 years of experience. We're using it to handle scaling out product globably and simply, ith autoscaling to keep costs down. It also helps with our devops enviroment to scale up and down as required. "Manage you container without hassle"
Kubernetes wonderfully manages the orchestration of the containers, especially Docker. Red Hat OpenShift is one such awesome example. the pod concepts are sometimes on the lower side as it tends to eat up the latency . It would be wonderful to have an even more sophisticated version of Master-Slave concept. EXpect a better management of containers. The orchestraion of KUbernetes when combined with container offerings like Docker is a good way to fix the problems than a scattered way of organizing applications. An even ostentatious way to handle stuffs in IT world. "Best Kubernates integration in cloud from creators of Kubernates"
Integration with Kubectl, Google Container Service and gcloud CLI. The stackdriver integration, Ingress (HTTPS) is also highly helpful. Cloud Armor built into HTTPS load balancer. I cannot recall any downside of using Google Kubernates Engine. We are planning for scaling in development. InstantAlert.io will be a contact management software used by city residents starting with City of Henderson, NV but we hope that it takes off to other cities in which case we would want it to be scaled, and secured. "Good product but customer support can be better." This puts Kubernetes into the hands of more people, but there are some scenarios where support could have been better. E.g Updating ca certs installed on vm instances. Using gcp service accounts in a multi-tenant/multi project environment is tricky. "all google's power in a container"
containers are one of the best introduction in development since virtualization. The possibilities to run them in the cloud make them the best choice in term of scalability, performance and cost saving. The only problem with this tool is the learning curve. But this is due to the introduction of both Kubernetes and Docker. This software solve the problem of the portability of an application and the reproducibility of an infrastructure. "GKE - Ease of deployment and management to your production grade applications"
We use the containerization of the applications and the GKE engine takes care of the abstraction from Kubernetes engine which is awesome in perspective of maintenance of the apps and GitOps/SecOps/DevOps related to a production level application suite. The whole suite needs to have more time in maturity and documentation as it is fairly new and in some occasions becomes unstable. Solving supplu chain and ecommerce are the areas that we use GKE. The low cost and hassle free deployments are the big benefits of a containerized application suite. "Kubernetes is getting real for the Enterprise"
2. being able to run GKE on prem. Not much. Would like to see Kubernetes moves towards Enterprise Ops Friendly. Use Application Resource type and Marketplace. Also Use Nodepools and Policies. Trying to understand how Ops can run applications built by Dev in Enterprise Friendly way. "Easy to get started with managed Kubernetes"
Easy deployment. Clean interface. Gcloud integrations with kubectl are smooth. Key features we need don't exist. Certain architectural decisions are forced upon us by limitations of GCP as a Platform. Learn Kubernetes, then consider whether you need GCP's management of Kubernetes. "You will not do this on prem...."
"0 to Kubernetes in no time"
It made the barrier to start using k8s so low that I was able to convince a high intertia team to switch. "very good managed service that allows more transparency and cheaper than app engine"
HPA and cluster autoscaling, descriptive way of setting up my environment. "Excellent to manage and deploy your containerised applications." The customisations help a lot. Gives more control to users for example in logging and monitoring. Did not find anything to dislike in particular. The product is top notch for me. Great support for the product and lot of starter documents to read and hit the ground running. Managing and deploying our applications. "Easy Application Management and scaling"
Great initial offerings and easy integration with Firebase and other google services. A bit pricey when high usage is there. Otherwise quite a good product. Pretty great all round solution! Extremely reliable. Ease of scaling and management of container products. Less hassle of tech teams and great relaibility of Google Servers. "Great managed service for K8"
"beta quality kubernetes deployments, real fast"
Wait a year and check back on how GKE has been improved. app deployments company wide. there have been no benefits over our AWS kubernetes stacks at this point. "Management with Ease, along with many bells and whistles"
Automated provisioning and scaling. I enjoy describing a deployment and having kubernetes provision and scale. Complexity and the need to keep current against the need to maintain uptime. We are running all production workloads in Kubernetes, with exception of MySQL. "Best in class, container orchestration"
Kubernetes abstract the complexity of deploying and managing container applications. Google Kubernetes Engine abstract the complexity of running and managing a Kubernetes cluster. Kubernetes (without GKE) is complicated for local development. Accelerate deployments and achieve better utilization of compute resources. Learning about Google Kubernetes Engine (GKE)? * We monitor all Google Kubernetes Engine (GKE) reviews to prevent fraudulent reviews and keep review quality high. We do not post reviews by company employees or direct competitors. Validated reviews require the user to submit a screenshot of the product containing their user ID, in order to verify a user is an actual user of the product. Hi there! Are you looking to implement a solution like Kubernetes Engine?